PBIS refers to Positive Behavioral Interventions and Support, which encompasses “a range of research-based strategies used to increase quality of life and decrease problem behavior by teaching new skills and making changes in a person's environment” (APBS, 2014). to enhance quality of life and reduce problem behaviors. Positive Behavioral Interventions and Support (PBIS) is most often associated with applications in schools. However, these strategies can also be found in a variety of settings and with a variety of individuals. 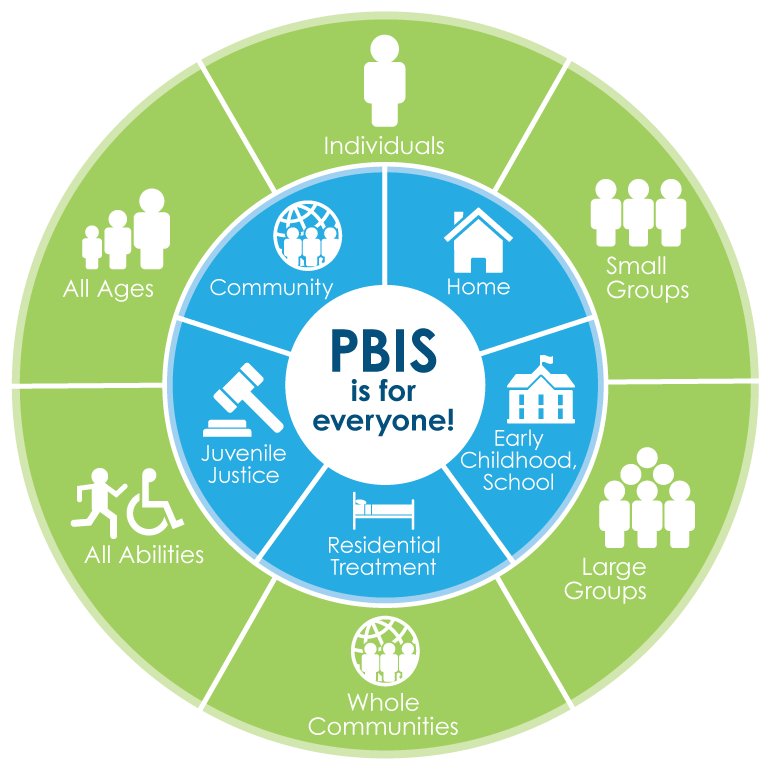 PBIS has been used in early childhood centers, residential treatment settings, juvenile justice facilities, communities, and homes. PBIS strategies have been shown to benefit individuals, small groups, large groups, and entire communities, and are effective with individuals of all ages and abilities. 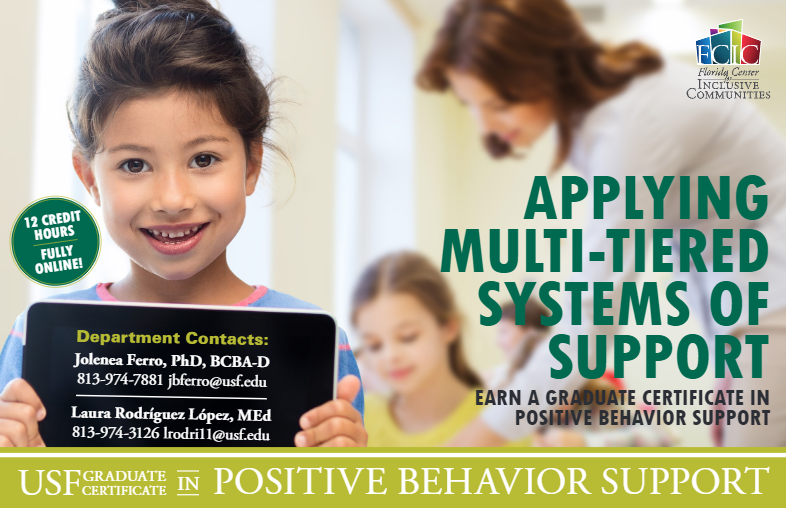 The University of South Florida in partnership with the Florida Center for Inclusive Communities offers a fully online Graduate Certificate in Positive Behavior Support. This online certificate program offers a 12 credit hour course of study designed to prepare individuals currently working in mental health, school psychology, school administration, education, early education, and social work to implement Positive Behavior Interventions and Support (PBIS) in schools, early childhood, and community settings. The certificate program includes classes focused on providing consultation and guiding collaboration, implementing school wide positive behavior support, addressing behavior challenges in young children, and intensive individualized interventions. For more information, you can contact program coordinator Laura Rodríguez López at 813-974-3126 or at lrodri11@usf.edu.